With this new update multiple improvements are done, the biggest improvement is the reduction in the programs size, this is done by reworking how the LED light for USB devices is blinked. 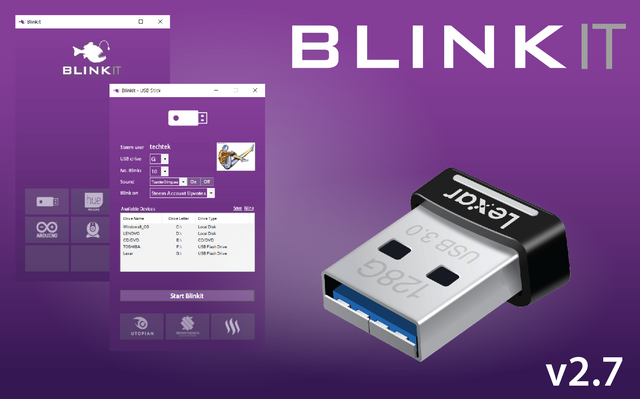 The first device ever supported by Blinkit in v1.0 are USB Flash drives, and this is also one of the most likely devices the users have at home. and this makes this device a important part of Blinkit. But after 4 months, 5 other widely available devices are added and supported by Blinkit, and just the support for USB sticks took most of the disk space. which is not practical or desirable. and this needed to be solved by slimming down the program. Multiple reasons to make the overal size of the program smaller. other user experience improvements were added in this commit as wel and are listed below in this post. Reworked the coding of blink.bat to not use one of the specific sized ledfile.led files, to trigger the Blink action, but instead use only one ledfile.led (just 2MB) and write that for a X number of times, the user can set this number in the Blinkit interface. Because there are now no specific sized files for each blink action there can now also be more options in the number of blinks pulldown menu, than just the previous 10 Blink lengths. the dropdown menu now have a setting to write the single ledfile.led (2MB) from 1 to 300 x which result in a short or longer blink action. where on a USB 3.0 device the 300x would result in a blink action of around 20 seconds. Remapped the blink.bat directories for Steemmakers, Utopian and Steemprice forms. During and after implementation each function: Steem Upvotes Follower Posts, Utopian, Steemmakers Upvote bot Visualizer and the Steemprice visualizer have been tested for functionality and adjusted for user experience. After uploading Blinkit 2.7 to github the program is downloaded on a second machine to test and verify the programs usability, and it turned out one file was missing and this is uploaded as well. Results of the above listed improvements are that the total footprint of the program is now just 25MB instead of 344MB. Text alignment of center column (drive letter) in the drives overview list is set to center alignment to not be blocked when the Puldown for the drive selection is openend, this makes it easier to select the right drive because the overview of available drive letters stays visible while selecting a drive. The list of available drives is made to auto refreshes with timer1 and refreshes every second, and therefore the refresh button under the drives list is removed. Maximize box is disabled on all windows. Start position of all windows is set to center of the screen. You could make a Utopian contribution and add an issue post to the project on Github. or get in touch on Discord and report the issues. 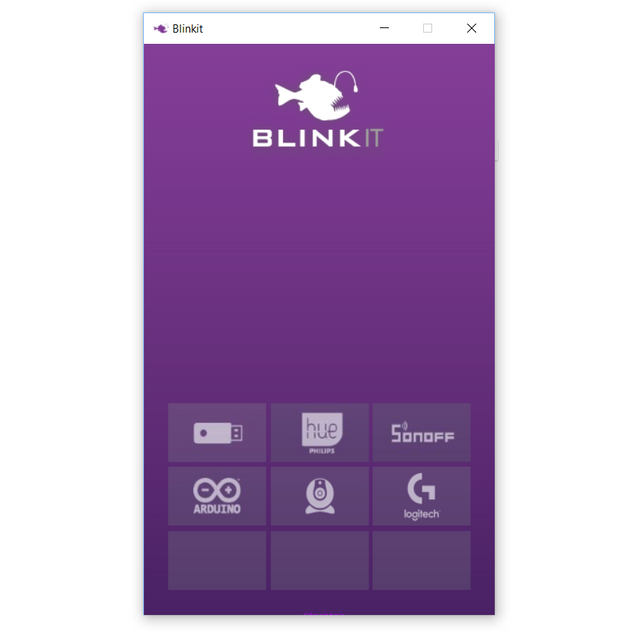 Do you want to make other devices compatible and make Blinkit better? Please get in contact on Discord for more details. Do you have a question, or suggestion for Blinkit? Feel free to get in contact in the newly created Blinkit Discord server, don't hesitate and get in touch! or leave a comment. I upvoted your contribution because to my mind your post is at least 18 SBD worth and should receive 53 votes. It's now up to the lovely Steemit community to make this come true. led had it's own size which correlated to a blink time).